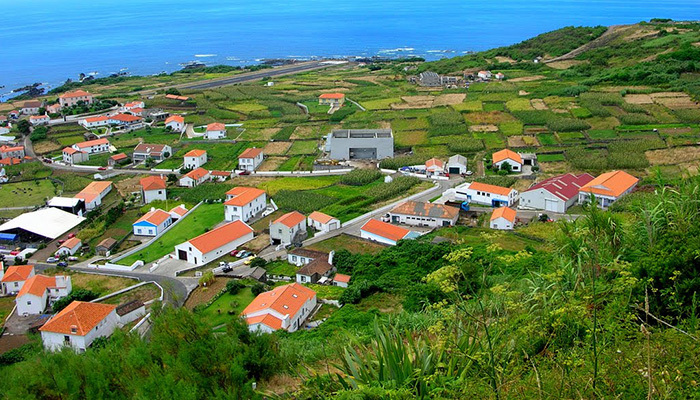 Being the only town in Corvo, Corvo village is a tangle of narrow streets, to protect against strong winds, always common on the island. Its dark stone driveway is lined with whitewashed houses, but are still present some dwellings with walls of black basalt. 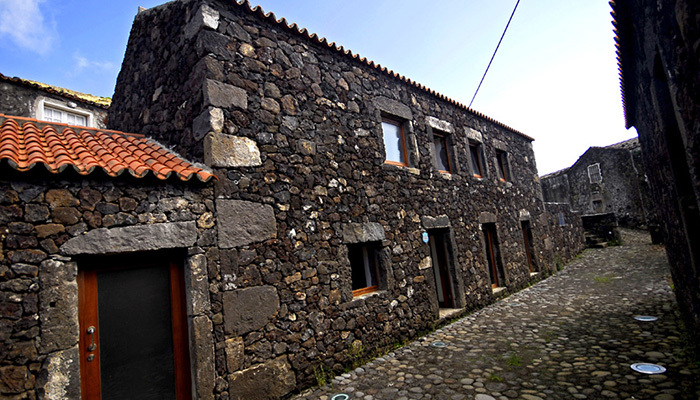 Already Outeiro Largo works as the center of this village, where both Corvo as visitors gather around the stone benches to share episodes of day-to-day or ancient stories. The parish church dedicated to Our Lady of Miracles with the facade facing the ocean, was built in 1674 and rebuilt in the eighteenth century, housing the interior a statue of the Virgin of the island of Flemish origin. 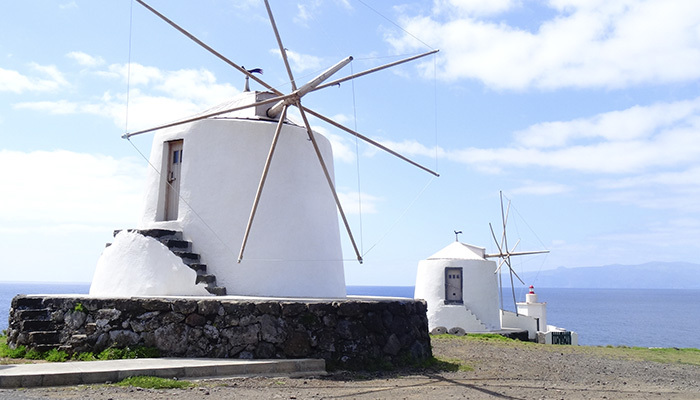 Next to Ponta Negra, in the Mills High, are small windmills that adorn the seaside, with a conical trunk, white punctuating the horizon coastline consumed by the navy. With the mechanism that rotates the timber dome, so that the sail follow the wind direction, which are pure examples of the importance of the production of wheat and corn on Raven. But the Environmental Centre and Cultural Crow recently built taking advantage of the typical houses of the village, is a modern space that is intended to be a relaxed space that promotes conversation aimed at learning and teaching more about the Raven, their idiosyncrasies and on Corvo and experiences. There are still factories by local artisans, wood locks, a maximum symbol of living a peaceful island, being useful, representing artisanal work more distinctive Corvo. The women are dedicated to lace, embroideries and parts made from shells. 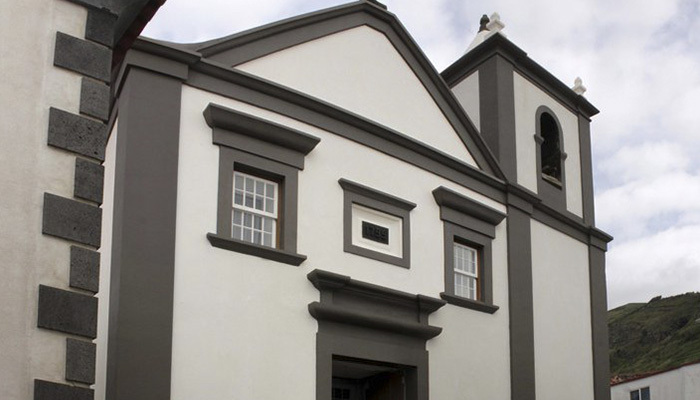 Nossa Srª dos Milagres Church – built in 1795, this is dedicated to the patron saint of Corvo, containing your image of the sixteenth century. The August 15 is celebrated its party island, held in celebration. Mills – with a construction in black stone, wherein the dome and triangular sails rotate to follow the wind. These small mills have a Mediterranean influence. Interpretation Centre Corvo – integrating a classified area in the Village Urban Core, this enables the understanding of the general characteristics of this location.